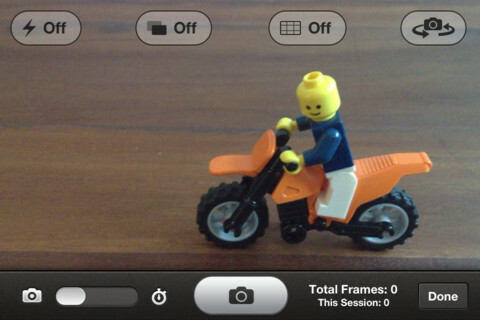 As a young kid I used to love filming stop motion animation videos, especially of toys coming alive. Today's app brings that back, but makes it MUCH easier that it ever was. Frames is an app that you can use on both your iPad and iPhone to easily create both stop motion animation movies and time lapse videos. The interface is very straightforward and to the point. There are 3 main things in this app that makes creating movies so easy. 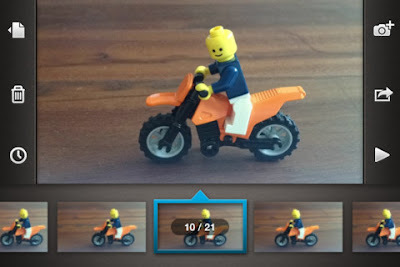 First of all it lets you take a bunch of pictures and combine them all, at a certain speed, into a video. You really get a lot of control over how many frames you want to show per second and can insert/delete frames where ever you want in your video. Second it has an "onion skin" feature that shows you a transparent overlay of the previous image while you are taking a new one. This really helps align your next shot up properly so that the transition between the two will be seamless. 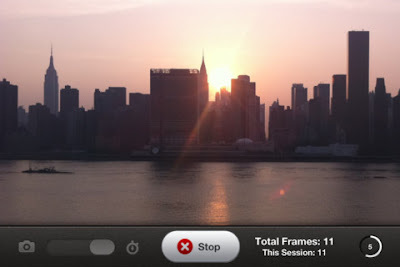 The third killer feature is the time lapse feature. You can setup your phone and turn on the time lapse shoot and it will automatically take a picture every X seconds/minutes. The app captures and exports in 720p HD quality which is also nice. 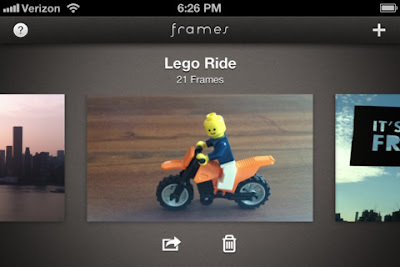 Frames may seem kind of similar to Everyday, which is one of our most popular apps of all time, but the concept is a bit different. Frames really gives you a lot of control over how to create the end video. Everyday is more about capturing a similar frame once per day. You could think of Everyday as a single use case of Frames. Frames is $2.99 in the AppStore. I found it to be a lot of fun. Feel free to share any videos that you create with Frames in the comments below.